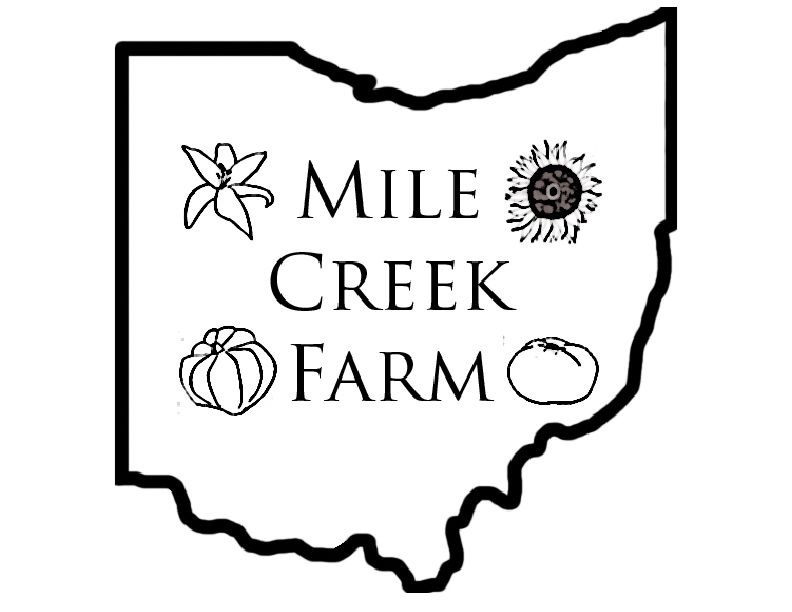 Welcome to Mile Creek Farm! We are a small family farm committed to growing organic vegetables of the highest quality. Our products are available to the greater Dayton region at the 2nd Street Market and through our CSA. Ben and Emily met while taking the Master Urban Gardener course in Boston. While volunteering at urban gardens in the city, we fell in love with each other and gardening. We then decided to try our hand at larger scale production and apprenticed at Clark Fork Organics and Sandhill Family Farms, two successful organic farms. Ready to go out on our own, we started Mile Creek Farm in 2007 and became certified organic in 2010. We are certified organic by OEFFA (Ohio Ecological Food and Farm Association). We believe that organic farming reinvigorates the land, creates thriving ecosystems and produces a better tasting and healthier crop. We hope to serve you and your family!